I previously wrote about a couple of other places in the Yurakucho area and mentioned Yakitori, the classic Japanese dish of grilled meat or vegetable on a stick. If you are sightseeing in the Ginza area you can visit Yakitori Alley for an evening meal of grilled food and beer. Pieces of leek, chicken meat balls, chicken thighs, and other savory chicken parts are some of the tasty highlights. Weekend days or showing up a little earlier might let you find a table easier. I actually stumbled upon the location myself on my first trip to Tokyo as I was in the area to see the statue of Godzilla and the International Forum. When I accidently ran into Yakitori Alley. There is also a narrow passage running underneath the tracks around here somewhere. Yakitori Alley is a little ways south of Yurakucho Station and east of Hibiya Station exit A2. There are yakitori stalls under the train track, but there are more on both sides of the track (I've drawn lines on the map). A large concentration of them are on the east side of the tracks near the underground passage. Follow the scent of gilled meat to see many open air restaurants here. Food and beer might set you back $30/person depending how hungry or thirsty you are. 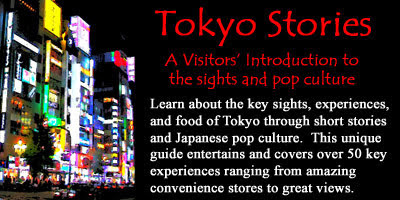 The area will also remind you of an more nostalgic Japan that isn't all high tech steel and glass. 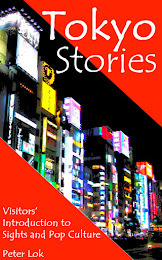 My posts about attractions near Yakitori Alley. 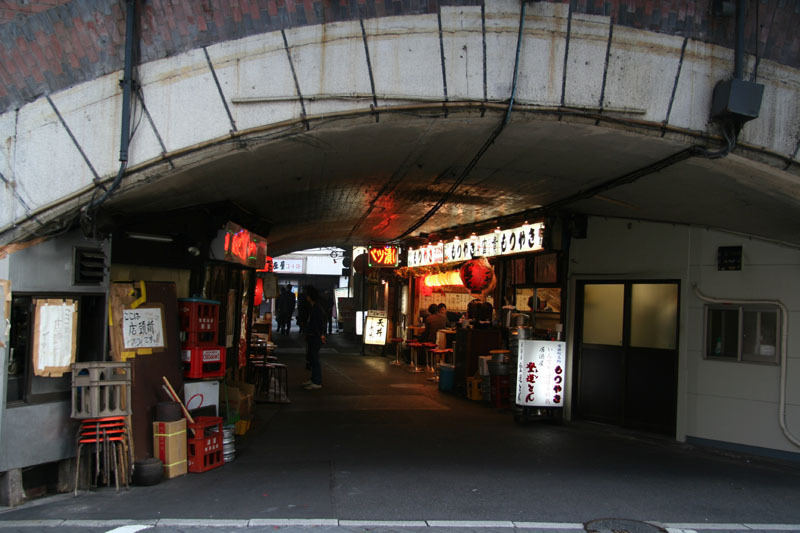 Some other links to blog posts about Yakitori Alley.